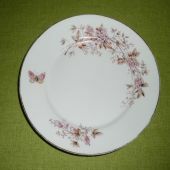 6 flat plates in porcelain, without mark under, with flowers and butterfly pattern. They have been used but are still in good condition. 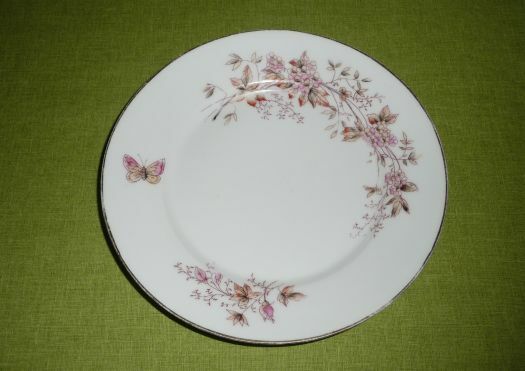 The golden stripe on the edge is sometimes discolored. 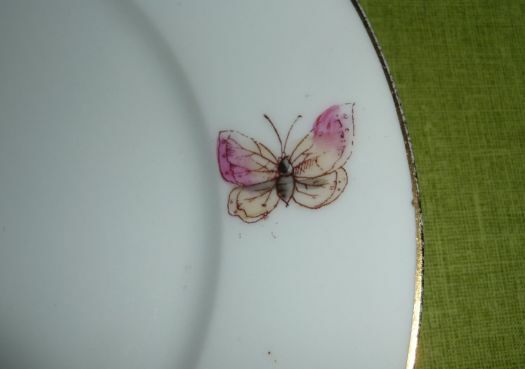 The pattern is the same on all the plates but sometimes the butterfly is not at the same place.